Improve your understanding of the Affordable Care Act, and how it impacts physicians and other healthcare providers, as part of this Continuing Education Program and receive 2.5 CME or 2.75 contact hours. Click here for a full speakers list. – How can providers maintain economic stability for their practice? – What are the legal implications regarding the clinical integration of associates and groups? The School of Medicine, State University of New York at Stony Brook, is accredited by the Accreditation Council for Continuing Medical Education to provide continuing medical education for physicians.The School of Medicine, State University of New York at Stony Brook designates this live activity for a maximum of 2.5 AMA PRA Category 1 Credit(s)™. Physicians should only claim the credit commensurate with the extent of their participation in the activity. Disclosure Policy: All those in control of CME content are expected to disclose any relevant financial relationship with the provider of commercial products or services discussed in the educational presentation or that have directly supported the CME activity through an educational grant to the sponsoring organization(s).All commercial relationships that create a conflict with the planners, speakers, author’s control of content must be resolved before the educational activity occurs. Listen to Alan Alda, actor and co-founder of the Center for Communicating Science at Stony Brook University, discusses his family’s experience with dyslexia and what others can learn from it. 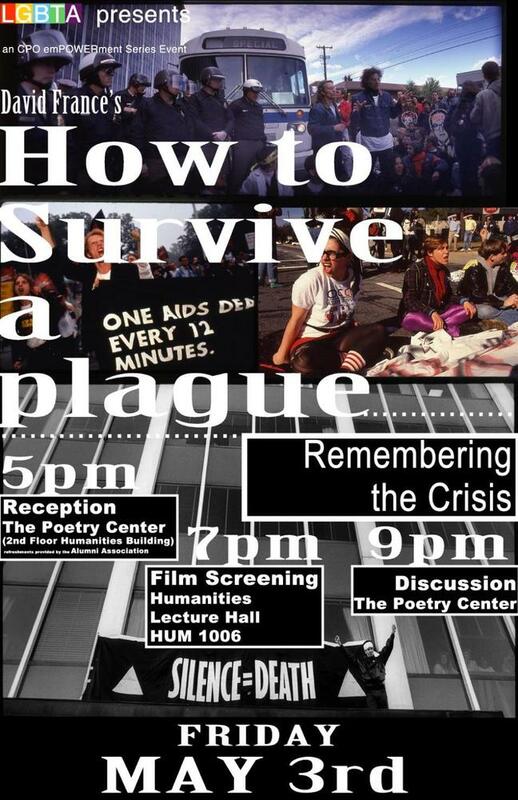 In observance of the 20th anniversary of the 1993 March on Washington and to kick off the 40th anniversary celebration of the LGBTA, we will be hosting a screening of David France’s critically acclaimed documentary film, “How to Survive a Plague,” preface by a reception, with refreshments provided by the Alumni Association and followed by a panel discussion to help localized and share the history of the crisis here at Stony Brook. We hope the event will create space for a rich and powerful conversation about the history of the beginning of the AIDS epidemic here at Stony Brook, and/or in the greater Long Island/New York community. of Long Island’s finest courses! Proceeds go to scholarships for deserving Stony Brook University students who need your continued support now more than ever. consider purchasing a tee sign or flag. “Latin Block Party” is an annual community service event held during Stony Brook University’s spring semester that offers education, fun and entertainment through the hosting of cultural performances, games, and food. This event also serves as a means of breaking down the ethnic barriers within our community, both on and off campus, through the unification and understanding of the Latino Culture. This year’s “Latin Block Party” marks the twenty first installment, since its creation. This event is open for the enjoyment of the entire Stony Brook community catering to over 20,000 people and the communities that reside in the surrounding areas. Since 1993 to present day, the Latin Block Party has been a free event for the Stony Brook Campus and community.